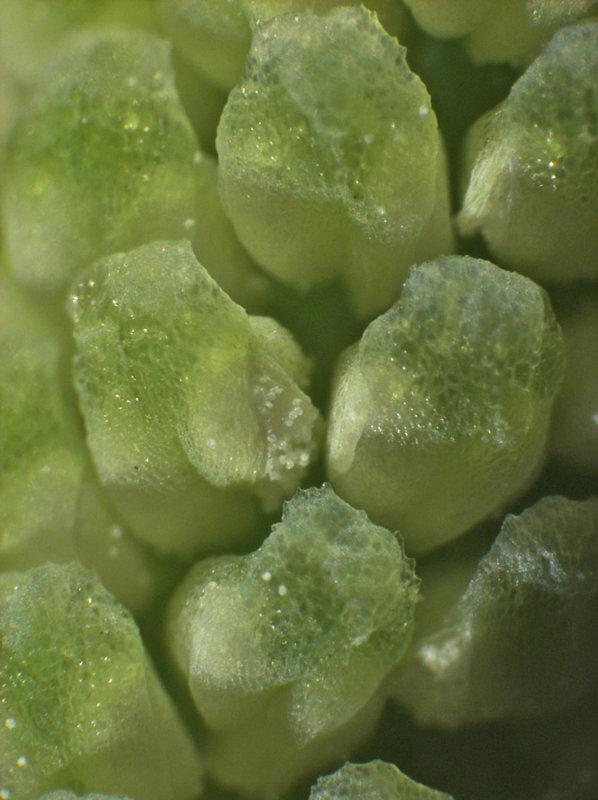 Cone at time of pollination. 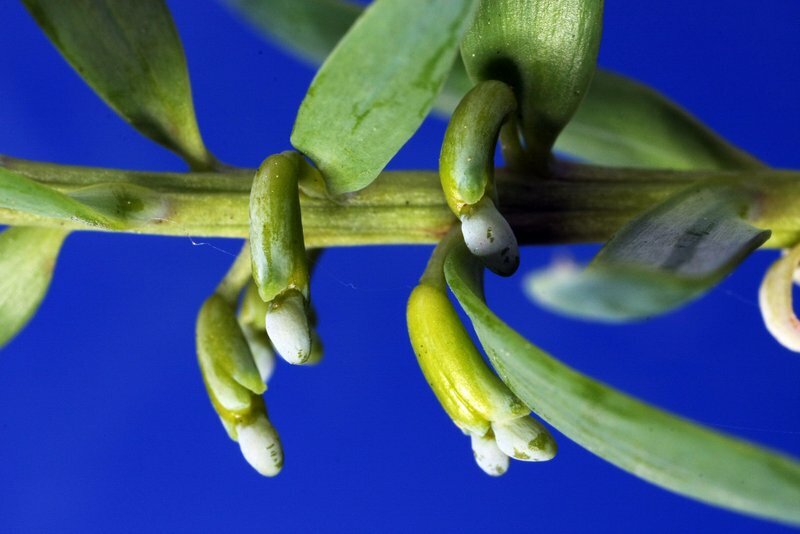 The ovule is subtended by fleshy bacts. 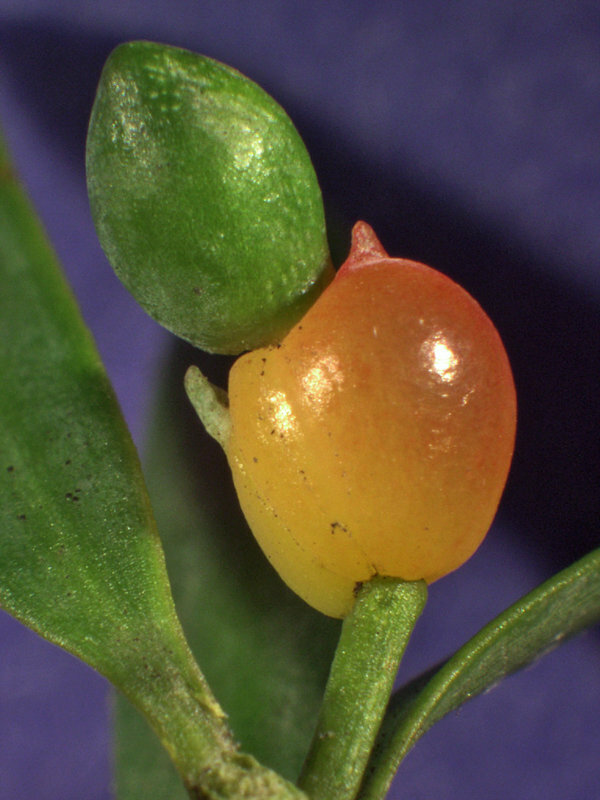 Young seed cone. 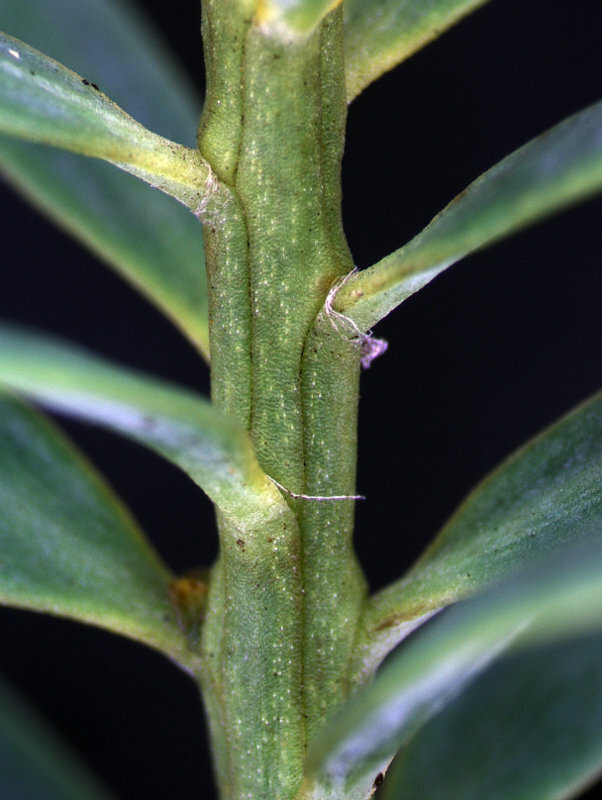 The subtending bracts enlarge and begin to change colour. 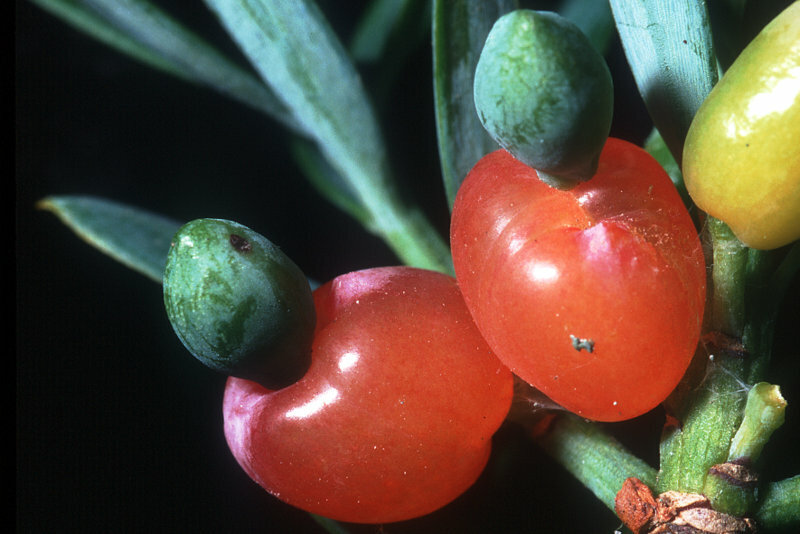 Mature seed cones with seeds sitting above the fleshy red, fused bracts. 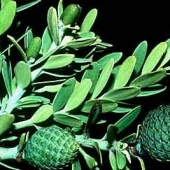 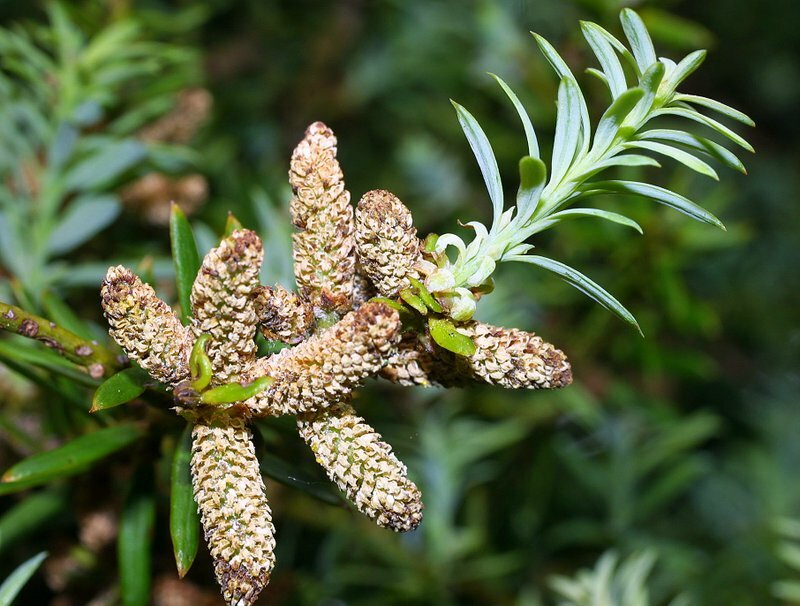 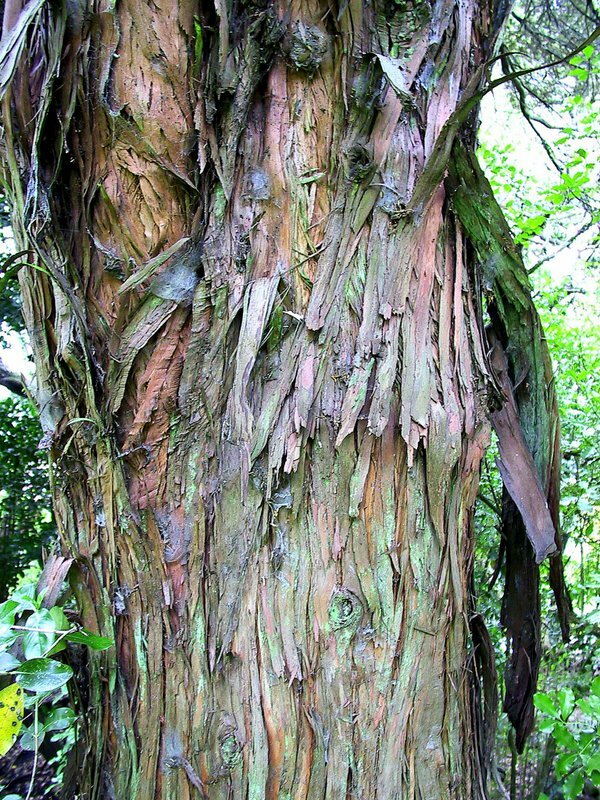 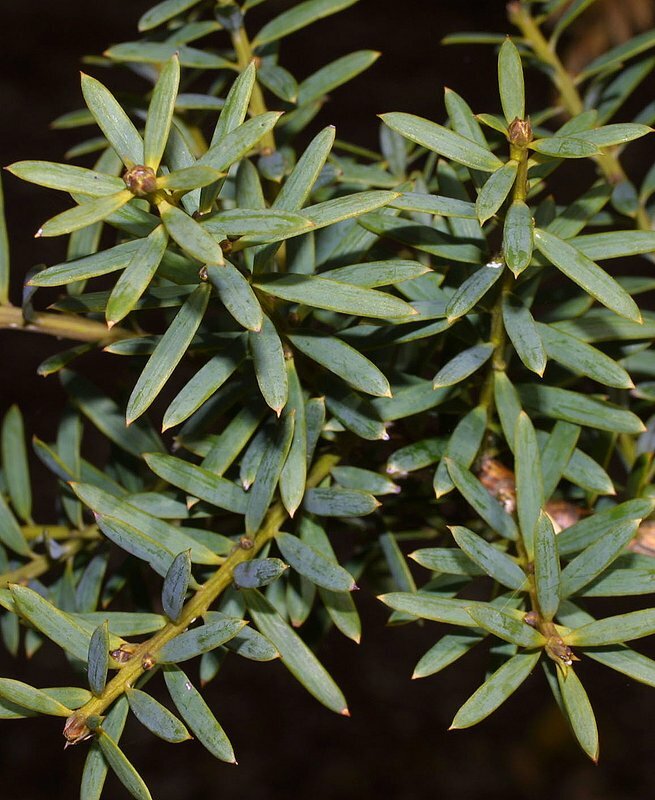 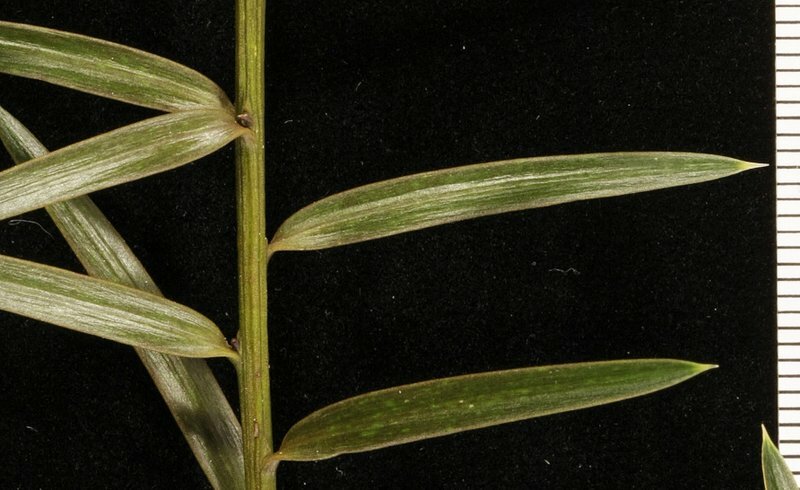 Podocarpus totara is a tall forest tree with brownish green foliage of rigid, linear needle-like leaves and a bark that separates into long narrow strips. 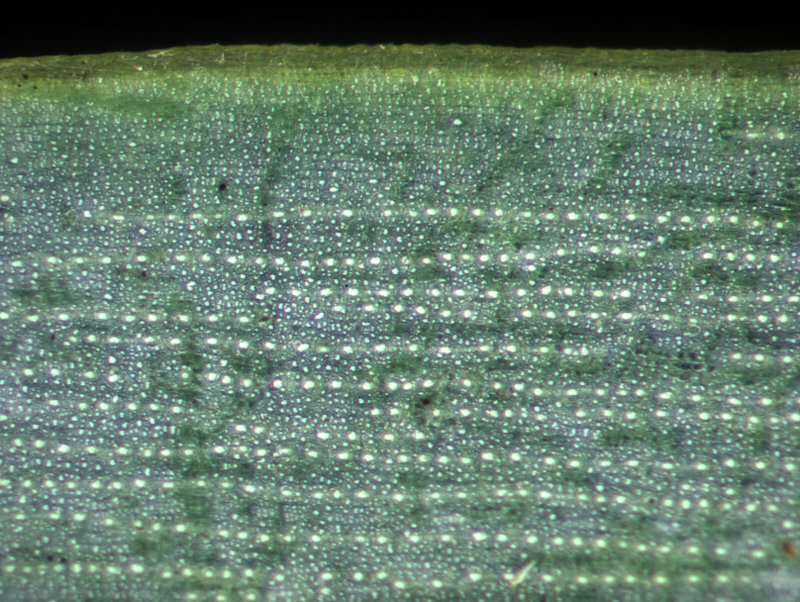 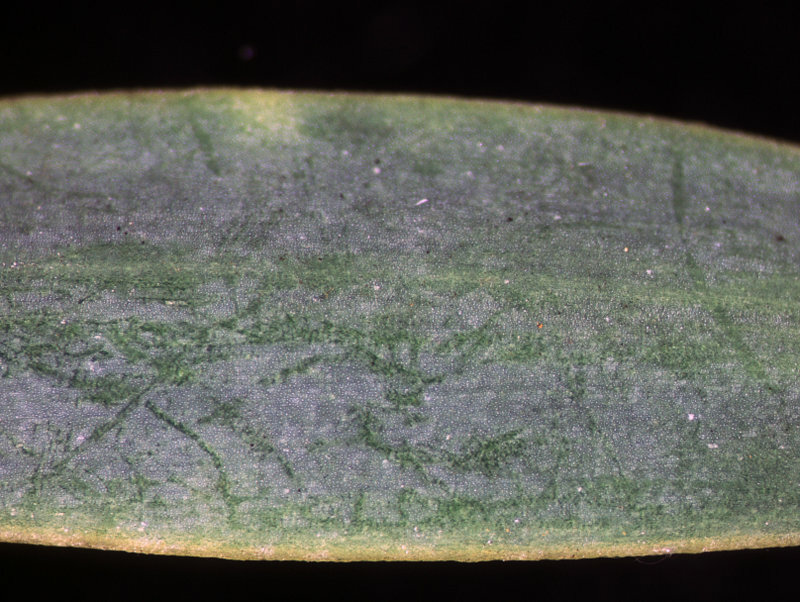 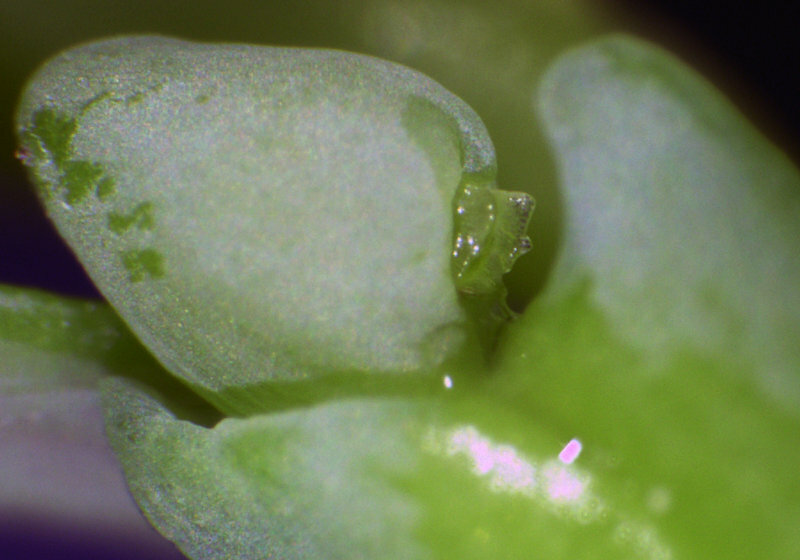 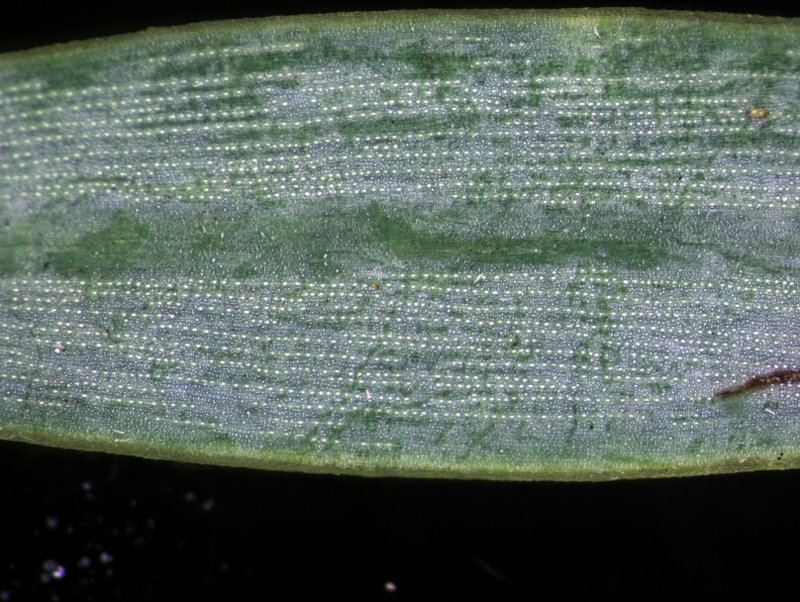 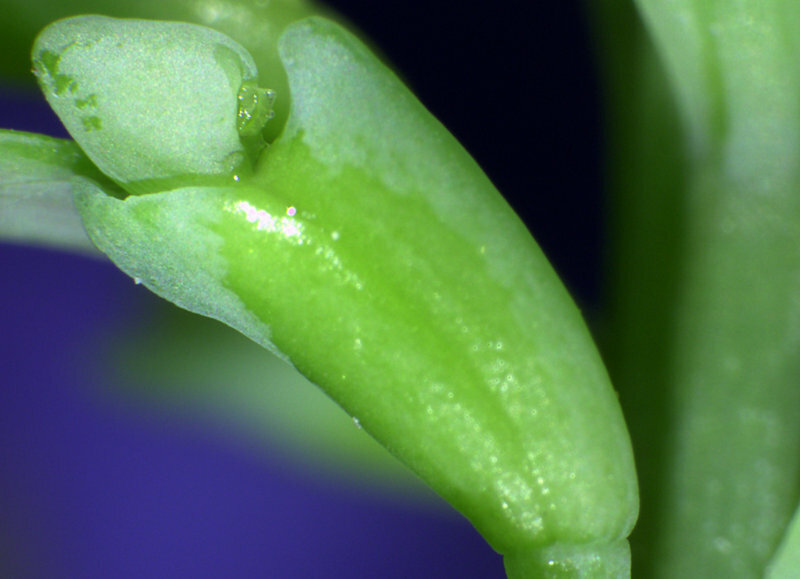 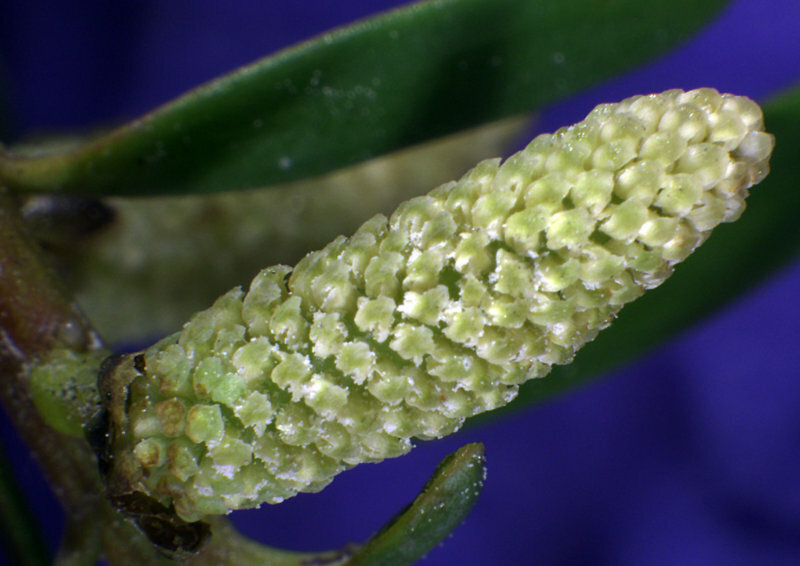 Small, fleshy ovule cones are formed in which a green epimatium (an outgrowth of the seed scale) covers the developing seed. 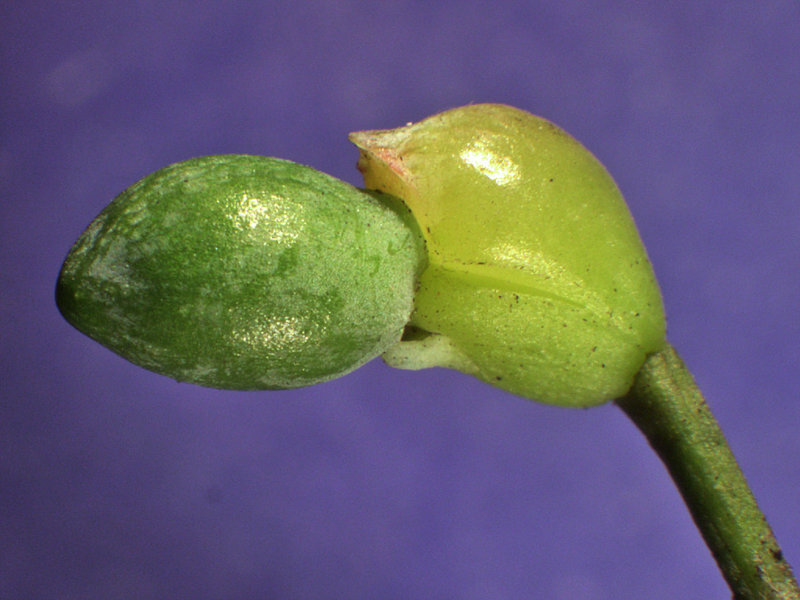 After fertilisation the bases of the fertile and sterile bracts fuse and become fleshy to form a red receptacle (or 'foot') situated below the seed. 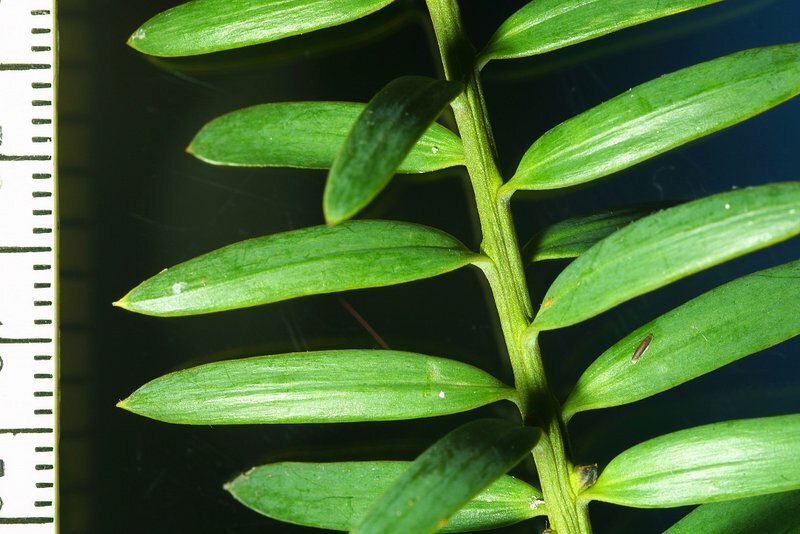 An endemic species found throughout New Zealand from lowland to mountain forest.